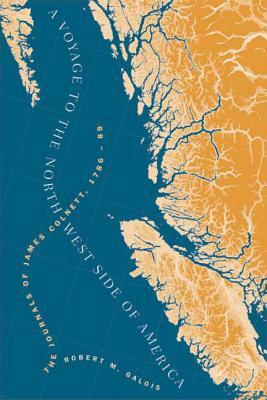 The journal of James Colnett is the last unpublished account of the early maritime fur trade on the Northwest Coast. Between 1786 and 1789, Colnett's expedition traversed the coast from Prince William Sound to the Strait of Juan de Fuca. Its members were the first Europeans to encounter the Tsimshian and the southern Heiltsuk, and the first to land on the southern Queen Charlotte Islands. The journal is reproduced with full scholarly apparatus, as well as extracts from a second journal by Andrew Bracey Taylor, 3rd mate on one of the ships in Colnett's command. Focusing on the expedition's remarkable encounters with the Native peoples of the Northwest Coast, Galois' introductory essay also addresses the geopolitical context of the voyage and the intellectual background that shaped the writing of the journals. This fascinating account gives us a new understanding of early European presence in the Northwest and of Native responses to these developments. It will interest historians, geographers, and ethnographers of the Northwest Coast and beyond. Robert Galois teaches in the Department of Geography at the University of British Columbia.